With its clean arched design and attractive flared base, this contemporary Richelieu bow pull is a welcome addition to any home design. Give a new lease of life to your cabinets with this Richelieu bow pull with a wide textured handle on tapered posts. Enhance the appearance of your furniture and home dicor and make a statement with this contemporary pull by Richelieu. Features a trendy finish and refined rectangular design. 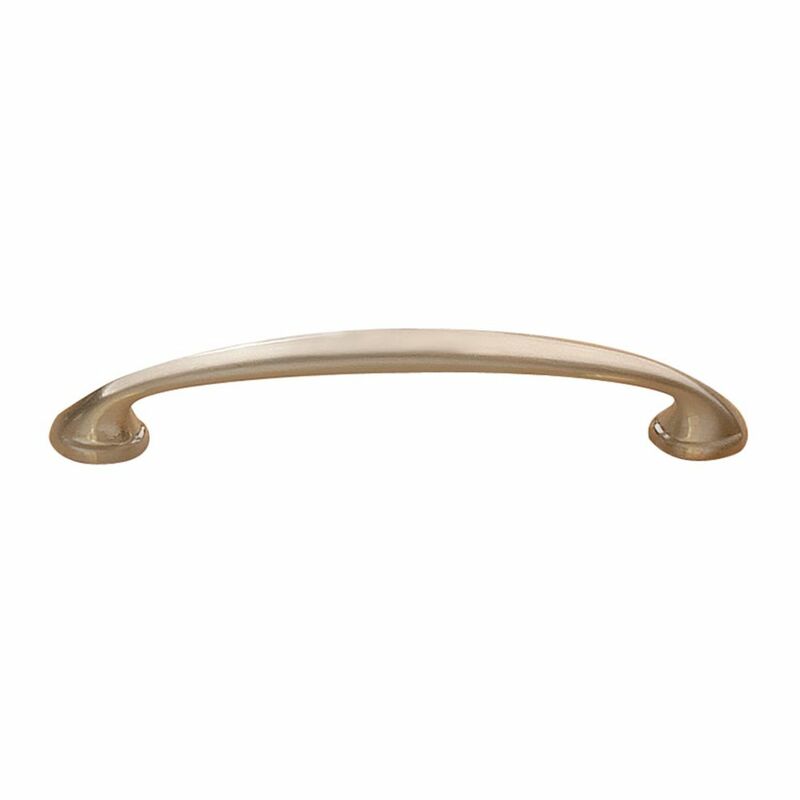 Contemporary Metal Pull 3 3/4 in (96 mm) CtoC - Brushed Nickel - Auburndale Collection With its clean arched design and attractive flared base, this contemporary Richelieu bow pull is a welcome addition to any home design.